A link to this article in Inside Higher Ed made the rounds last week, and the implications for our Social Excellence message were obvious. Clearly “The Social Experiment” at Columbia could have been profoundly bolstered by a little Phired Up Social Excellence training. But there were two links buried inside that article that both surprised and inspired me. These two links directed readers to background information on two college traditions. One at Washington and Lee University in Lexington, VA (The “Speaking Tradition”), and one at Sewanee: The University of the South in Tennessee (The “Passing Hello”). [Take a moment to read those]. Social Excellence is about momentary choices. Daring yourself to connect with others using the Best Version of You. Choosing to engage with the people and society around you. It is about being present and aware of the power of interpersonal connection. Is there any simpler way to engage with the world than to just SAY HI to people as you pass them? If you choose Social Excellence as your lifestyle. If you want to be the best version of you today. If you want to create a tradition in your community of engagement, interaction, connection, and relationships… start simple. Take the “Say Hi” pledge. Raise your right hand and repeat after me. I, [state your full name], pledge upon my honor, to say “Hi” to people as I walk past them today and every day. I will do so with an authentic smile and a genuine wish in my heart that they might feel my positive presence in their life, if just for a fleeting moment. I understand I am not to wink, giggle, or give a creepy stare while taking this action. I further understand that this requires an aversion of my gaze away from my cell phone or other text-messaging device. Because I maintain this simple commitment, my community will be more connected and in some small way I will have enriched the world. I recognize that this is just a small gesture, but that it will move me toward a full Social Excellence lifestyle. Note to Greeks: Since you’re members of SOCIAL organizations, what if you took a similar pledge as a whole community (or chapter)? What if you were the people on campus who said “Hi” to people as you walked past them? It sounds simple, yes. But what if that was the story your campus told about you… “The Greeks here are the ones that make you smile as you pass them on campus.” How might that help with recruitment? How might that change the long-term behavior of your members toward your original social mission? Note to AFA 2011 Attendees: Look for an opportunity at the Phired Up exhibit booth to make your pledge to Social Excellence. NKU (Northern Kentucky) Sigma Phi Epsilon deserves credit for a brilliant idea that helped spark their young chapter’s recruitment burst. After a poorly attended fall rush week the chapter took matters into its own hands and hosted a campus-wide “Missed Rush?” marketing push and information session about 3 weeks after formal rush week. The group was able to generate interest from dozens of men that didn’t know about the first rush week or were not able to participate. As an alumnus of the group reports, “this was our first time experiencing taking members throughout the year … it worked … so we kept doing it.” It’s a great feeling picking up men throughout the semester. Take that idea one step further and apply it to the end of the semester (around NOW). How about a 3-5 day period called “Recruitment Sneak Peek.” Offer a preview opportunity for students considering membership in fraternities/sororities next semester. Perhaps it includes highly visible marketing activities (all-campus event, tabling, etc.) Perhaps it includes a targeted push to get RA’s, Student Government Leaders, Orientation Leaders, Cultural Student Organization Leaders, and other students in positions of influence to have lunches with your members. No matter the details, make sure to create opportunities like this to gather names, start forging relationships, and driving interest in your organization (and show interest in non-members). It doesn’t require a lot of planning. You don’t have to wait for your organization’s governing council to make it happen. It just requires effort. Go. In celebration of International Girls Day, Phired Up Productions would like to take the opportunity to send messages of empowerment, perseverance, and courage to our female readers. The women of Phired Up have each shared a personal story about being a girl. We believe being girls is truly a gift and today, we are celebrating young girls and women everywhere! Growing up as the only girl in the family, “Can I play?” was the number one question I had to ask my three brothers on a regular basis. More often than not, they let me play, but when it came to football, I sometimes got the “no girls allowed” reply. No fair, right? I was a girl, but I was tough! I could do anything! And I LOVED football! The years rolled on and I continually insisted on playing in the annual Thanksgiving Day family football game. This was a big deal! My two-hand-touch skills were decent and by the time I entered high school, my brothers had the “she’s pretty good for a girl” attitude. Soon enough, my high school days and powder puff fun had passed and I had definitely entered my “girl” phase. Yes, I had discovered the love of a mani/pedi spa day and became addicted to lip gloss. Truthfully, it’s fun being a girl! But, I still wanted to play football. I wanted a challenge. I wanted the big leagues, baby. In 2000, the WNFL (Women’s National Football League) was founded. The WNFL was a full-contact American football league for women. Although, due to pressure from the National Football League (the men), the WNFL changed their name to the NWFA (National Women’s Football Association) after their 2002 season. In early 2001, during my freshman year of college, I found out that there would be open tryouts in Nashville, Tennessee for the inaugural season of the WNFL. Now I wasn’t positive that I wanted to move to Nashville to play football, but I was positive that I wanted to prove that girls can do anything and that I could make the team! I had to try out! My Mom, who instilled and encouraged girl power to the fullest growing up, was on board and ready for a weekend trip to Nashville! So, I did it. I tried out for the Nashville Dream, a professional women’s football team. I had a blast at tryouts, felt empowered, and I MADE THE TEAM!!! I even got a fancy looking contract in the mail. So was being on the Nashville Dream really MY dream? If there had been a team in Indiana at the time I would have played in a heartbeat, but I couldn’t see myself moving to another state when I was already at a good school in Indiana. No regrets. I had proven to myself that I could do anything and that girls could do anything! Even play a professional sport that had “MEN” written all over it. So remember, your gender doesn’t matter. If you are passionate about something, but feel you may not “fit in,” go for it anyway. What’s the worst that could happen? Trying is the most important part of any challenge. You go girl! 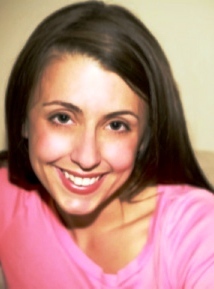 My name is Colleen Coffey and I am the Director of Research and Women’s Development Coach for Phired Up Productions. I have spent the last decade of my life with an interest in helping young women grow, develop, love themselves, and love each other. I am proud of the work I have done and still do to help others. There was a time in my life when I was the one who really needed help. Growing up, I struggled to be happy. I often heard my parents fighting and was sometimes scared for my own safety. I was always tired at school and could not concentrate. I was lonely and sometimes stared out my bedroom window for hours on end just wondering why I could not stop crying. I was teased and taunted at school and sometimes ignored at home. This triggered in me a depression and sense of anxiety that would seem almost insurmountable throughout the rest of my life. As a teenager, I tried many methods to deal with these feelings- from running away to protesting food to fighting to withdrawing. I was diagnosed with moderate depression and anxiety as an adolescent. I would spend extensive time in therapy, trying to cope with what was going on inside. In high school, I learned how to pretend that everything was okay. I was a cheerleader, a homecoming attendant, and a student of dramatic arts. I had friends and everyone around me thought everything was fine but inside sometimes I felt like dying, I wanted out of my house, and could not seem to shake the feeling that something is immensely wrong with the world. In spite of my issues, I still attended college where I seemingly flourished. I was a popular sorority girl, became sweetheart of a fraternity, lead new student orientation and wound up using those experiences to drive my professional career. While I showed incredible promise, I still struggled. I began to rely on food control an exercise to deal with that struggle. I never wanted anyone to know what was really going on inside, even I did not fully understand it. The obsession with food and exercise took the pain away for a little while. It was the only way I knew how to cope. Something happened when I was a young adult that would shape the way I thought about life, love, emotions, challenges and faith. In 2004, I was supposed to attend the birth of my niece. I was supposed to be right outside the door as she came into the world. The morning she was born, I was in the gym. I could not skip even one day because sadness and anxiety would take over and I would loose the ability to function. I missed the birth of my niece. That was a huge deal for me and everyone around me. I chose to get help that day. I chose to get the right help and it would change my life forever. For the next year, I went through extensive therapy and nutrition treatment. I learned how to cope with depression, anxiety, and every day life stuff like stress or lack of sleep or relationship issues. I got healthy because I sought help and I still seek help. If you or someone you know is struggling with thoughts, feelings, or emotions know that you are not alone. In fact, about 25% of all people struggle with mental illness and most of us are impacted by emotional health issues at some point in our lives. There is NOTHING to be ashamed of – seeking help or supporting someone while they are seeking help takes an enormous amount of courage. On National Girls day I want you to know that I think girls rule! We are girls. We are successful and valuable. We should say what we feel when we feel it. We deserve to live our best lives. We can do anything!! We were on a family vacation on the west coast of Ireland and I was having the time of my life. It was the first time in years that my brothers and I were together, combine that with my adorable nephews, my amazing sister-in-law and her family and I was in heaven. Other chest disease or chest surgery? Nope. Claustrophobia (fear of small places)? Jackpot. Meghan Ward-Bopp + feeling like I couldn’t escape/tiny spaces = a bad situation. I was already zipped up into a tiny wetsuit and there was certainly no escaping that (or breathing deeply) anytime soon. The idea of strapping on that oxygen tank, weights, and only breathing out of a mouthpiece underwater? I was terrified. My older brother yelled for me, we were supposed to be getting on the boat to head out for our open water dive. I begrudgingly joined them and practically took notes as the dive master gave instructions. Off we went. I watched with eyes as big as saucers as my sister-in-law and youngest brother effortlessly flipped over the side of the boat with all of their gear on. Down they went. The instructor turned to me and said: “you’re up girlie.” I was terrified and he knew it. He went on to explain that I didn’t have to if I “couldn’t” or “didn’t want to.” I’m not sure if it was adrenaline or my stubborn side that took over, but I gave him a look and held on to my mask and regulator– over I went. I will share with you that the following hours were filled with the most terrifying moments in my life. I kneeled on the ocean floor clenching my brothers hand and listening to myself breath all the while trying to keep myself from ripping out my regulator and surfacing. And then I looked up… the surface was only about twenty feet above my head. I’d swam my whole life and knew I could hold my breath for well over a minute. I’d had “tea parties” on the bottom of the deep end of swimming pools since I was six and here I was, allowing this irrational fear to RUIN the experience. I could basically stand up and I’d be at the surface! The dive master came around and began the drills of taking us through losing our regulator, masks and a few other tasks you had to complete to have this dive “count” towards your certification process. I hadn’t let go of my brothers hand yet, let alone mentally prepared myself to have my regulator and mask ripped off. I made eye contact with my brother and he squeezed my hand, silently telling me he knew I could do this. And you know what? I nailed it. Eleanor Roosevelt was right, “You gain strength, courage and confidence by every experience in which I looked fear in the face and said “forget you, I’m doing this” and it was the best feeling of my life. Life was meant to be scary. It’s full of things we’ve never experienced, but if you let those fears hold you back you’ll miss the good things in life. Including the sheer exhilaration of knowing you really can do anything you put your mind to. I love proving people wrong. I love doing things that people think I can’t do. Most of all, I love being called “tough as nails” - not because I like being intimidating, but because I love breaking down the stereotypes that women have to be “girly” or “dainty” or can’t do what is perceived as “manly” things. That is why I love telling this story to you on International Girls Day. My husband and I own an old home – built in 1929. I love it. It’s beautiful. It has tons of character. It constantly needs work. We have a small, fenced in yard with a gate that goes across our driveway. It’s your basic picket fence and about 4-foot-tall. It was rotting. It was rickety. It was falling apart – particularly the gate. Our dogs, Maximus and Brutus, would sneak out through a loose board or two, or a large gap on a regular basis – which would then prompt an all-neighborhood search and capture operation. At the end of every escape and rescue mission, I would curse the fence and promise, one-day to have someone fix it. That day, I built a new gate for our fence – by myself. I drew the plans, I cut the wood, I assembled it, I stained it, I hung it – myself. Building a fence gate seems like a “manly” task. In fact, I would wager to guess, that any man reading this is either thinking “She’s lying.” or “I need to inspect her work.” I did it – a girl – built a fence gate, all by herself. I tell you this story because you can do anything you make up your mind to do. You can build a fence or even become the President of the United States if you set your mind to it. Don’t ever let anyone tell you that you “can’t” or say to you, “But you’re a girl.” Girls can do anything that boys can – we can prove it! You can do anything, better than anyone if you believe you can and work hard to do it. “Research shows that the happiest people report having at least seven hours of social interaction a day.” I was watching a segment on Good Morning America this week about the happiest places on earth when the guest shared that little nugget. The guest, Dan Buettner author of Thrive, clarified only face-to-face or phone interaction counted as interaction, not texting, facebooking, tweeting, etc. As I sat in the Newark, New Jersey airport on my way home from a Social Excellence and Recruitment visit at Rutgers University, I couldn’t help but wonder. SEVEN hours. That’s an incredibly long time. But then it started to click, of course the happiest people are the most interconnected people. We’re social creatures, we feed off the energy of others. I couldn’t help but think about what could be, though. What if we all embraced this idea of seven hours of social interaction daily, but combined that with Social Excellence. Not only just talking to people during those seven hours, but being generous, curious, authentic and vulnerable. How different would each of our lives be if we intentionally connected in the deep zone or fun zone? If we knew we had to get those seven hours in, would we sit blankly staring at our fellow passengers on the bus? Would we greet our co-workers with the same “do anything fun last night?” or could we push and challenge ourselves to share a smile and helping hand to make someone’s day? Would we sit down with our co-workers and ask about their family or volunteer at a homeless shelter to help with career counseling? I’m going to start small, for one hour a day I’m going to interact with someone that isn’t in my normal, daily scope. Maybe that means volunteering at a new organization, chatting to strangers on a plane, or simply picking up the phone to call a relative that I rarely talk to. I have no idea if this increased social interaction will actually make me happier, but I know it will make those I reach out to happier – and maybe that’s what it’s all about anyway. Remember to update your Names List immediately. Consider sending a text or Facebook message right after to say “thanks” for meeting and remind them when you’ll be getting back together. Now you’re doing “results producing” Dynamic Recruitment! I saw this guy (his name is Max Oman) on campus at the University of Minnesota yesterday. Needless to say, I just HAD to go talk with him. Is this Social Excellence? It certainly is bold. Here’s what I loved most about this guy after having a short conversation with him. He wasn’t trying to get anything out of people except a conversation. He was kind of just playing. Trying to make people smile. Being generous. I asked him why he was doing this, and he said he had seen a picture of someone do something similar, and it looked fun. So, there he is. Most people, of course, passed him by with a smirk on their face. Some people stopped and engaged him. Nearly everyone that walked past probably remembered him. He entered people’s lives. Maybe more importantly, interacting with Max got me thinking about the power of poster boards. Seriously. See here, here, and here. It seems like a poster board, a marker, and minimal creativity provide a good reason to talk to strangers, to engage socially, to meet potential members for your organization… put plainly, poster boards seem to be a simple, cheap tool to make life a little more interesting. What would happen if you walked around wearing a poster board around your neck like Max’s? How would your day be different? Thanks for talking to me, Max. You’re an interesting dude. I’m guessing people like Max would like our Dare Cards. It’s amazing to think about, really. Places where they don’t have developing roads have a way to connect to the entire world at the click of a mouse. It seems that Facebook itself is constantly growing, as is the story behind it. I recently saw the new movie The Social Network- mainly for Justin Timberlake, but I also wanted to learn more about this entity that is defining a generation. In the movie, we are introduced to Mark Zuckerberg, the creator of Facebook. The movie begins with a conversation based around Final Clubs. After listening to the dialogue, a light bulb goes off in my head, “A Final Club is similar to a fraternity! Greek life in the movies, hurray!” It is Zuckerberg’s goal to be accepted into one of the clubs, sealing his place in the Harvard social scene. Without giving too much of the movie away, the portrayal of one of the Final Clubs is similar to that of a movie or TV fraternity – hosting raging parties, hazing new members, and an odd sense of recruitment. In the movie, Zuckerberg’s friend Eduardo gets “punched” to join one of the top clubs, and their friendship takes a hit for it. While he doesn’t come out straight and say it, Zuckerberg is jealous. As the movie progresses, this reoccurring theme of “You didn’t get in, maybe you aren’t good enough” seems to prosper. I can’t help but think of what may have been if he did get into the prestigious club – would we even have Facebook? How would we connect? But that’s not my point. My point is this: You shouldn’t be defined by what organization you’re in. You should be defined by the values you choose to live out every day. Whether they are values specific to your organization, or a general set of fraternal values you are holding yourself to — standards that you believe in and that are important to you. Your organization challenges you to understand and live your own personal values in relation to the stated values of the group. When you recruit, do you have this conversation with your potential members? Do you know about their personal values set before you ask them to join? How many of them can name the values of the organization they’re joining before they accept an invitation for membership? Another member of the Ring of Phire, Steve Pasdiora, began a conversation on our Facebook discussion board (thanks Mark Zuckerberg!) that I would highly recommend you check out… here. Join in on our discussion. Sometimes we all need a little reminder.